The last three fall under the category of tracking a new lead when they reach a page and no prior tracking has been set. 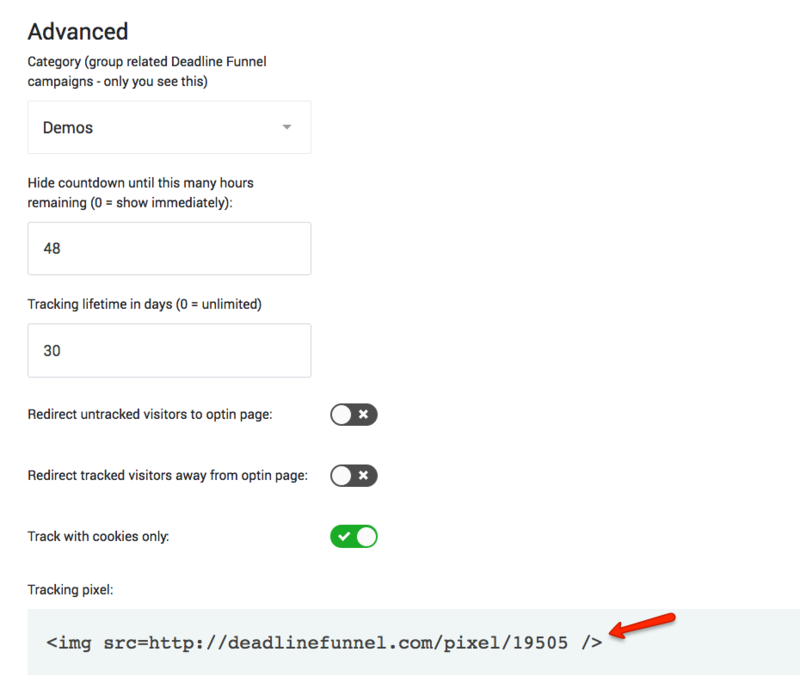 If you use an email link from Deadline Funnel, when your lead clicks the link they will be tracked if they aren't already being tracked. One nice advantage of this method is that you don't have to show the countdown on the page they see next. Also, you can use the email link as the thank you URL for an optin form and take your lead to a thank you page and start tracking then. Many people use an email link in an email, but how you use it is only limited by your imagination. Simply put a countdown on a page that they are visiting and if the visitor isn't being tracked yet, then Deadline Funnel will start tracking and they will see the countdown on the page. Like the email link, you can start tracking (if tracking isn't already set) and not show the countdown using the tracking pixel. But instead of an email link you grab the tracking code from your settings and add it to your page HTML. Your visitor won't see anything and won't be redirected if tracking is already found. "Why might I NOT want the countdown to show right away?" It's really up to you, but a technique we recommend is to only mention your deadline at the END of your marketing funnel. We like to mention it with 72 or 48 hours left in the promotion and then mention it several more times before the promotion is over for your lead. We often decide to hold off on putting a countdown in front of them when they first enter the funnel as we find that it works better. However, it's really up to you and you can use Deadline Funnel any way that you want.